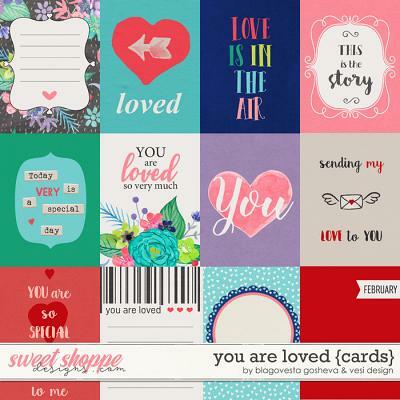 By this bundle and save! 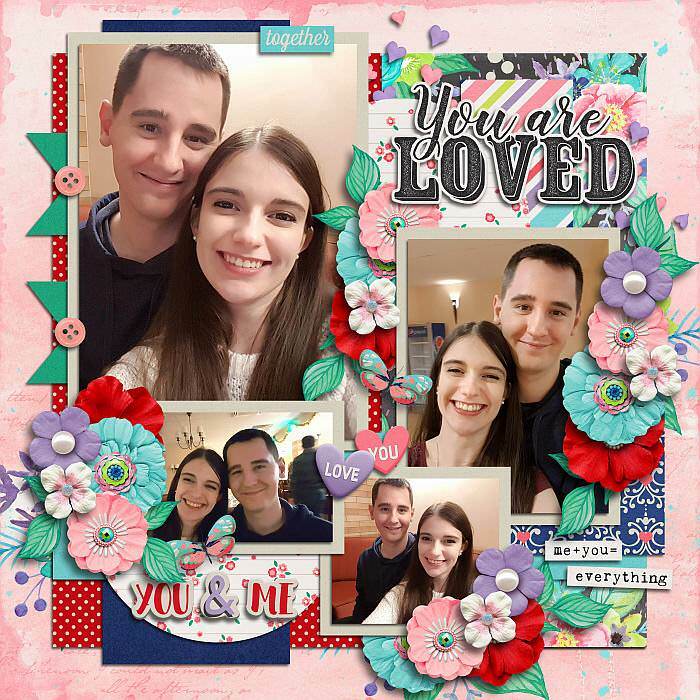 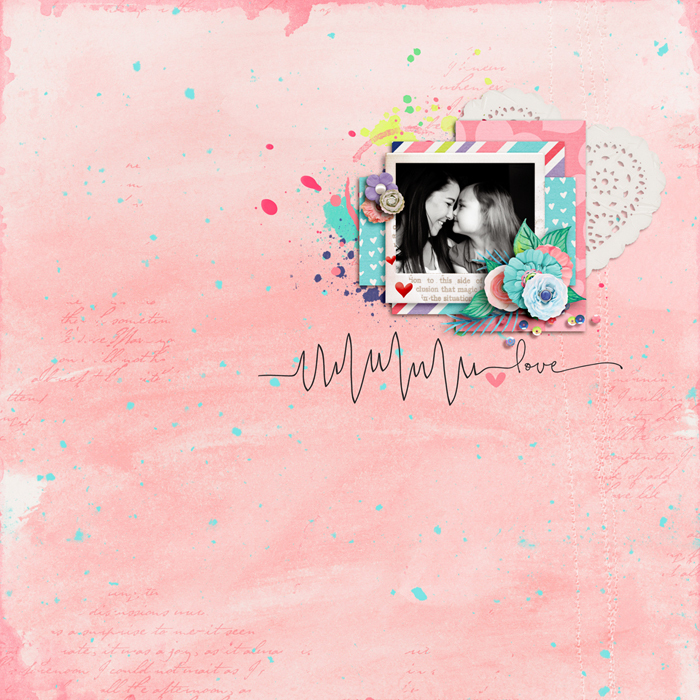 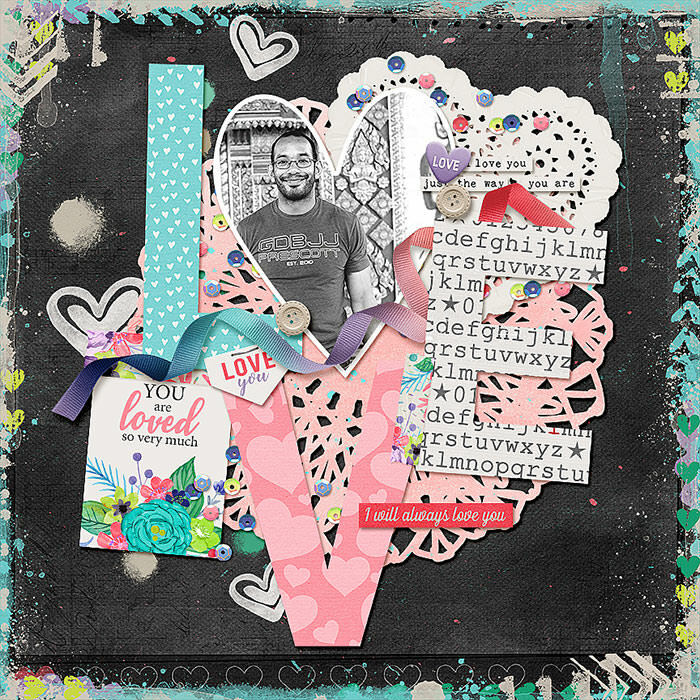 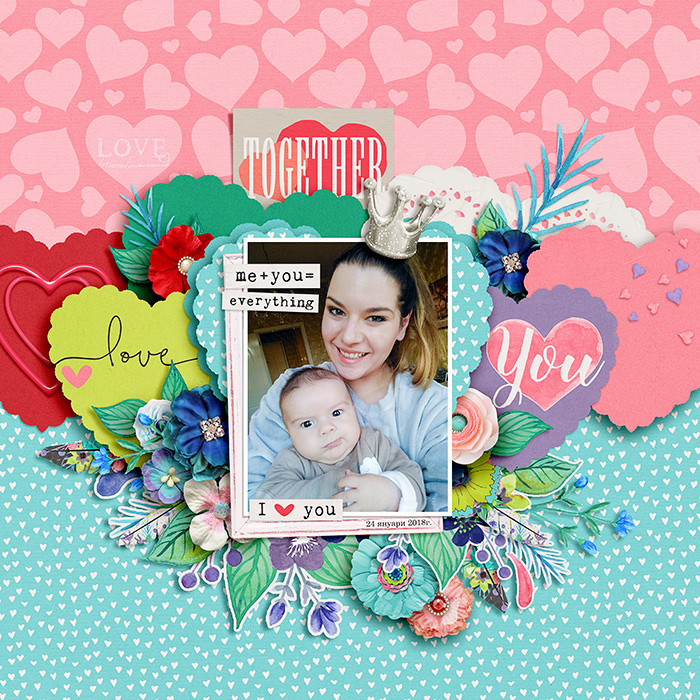 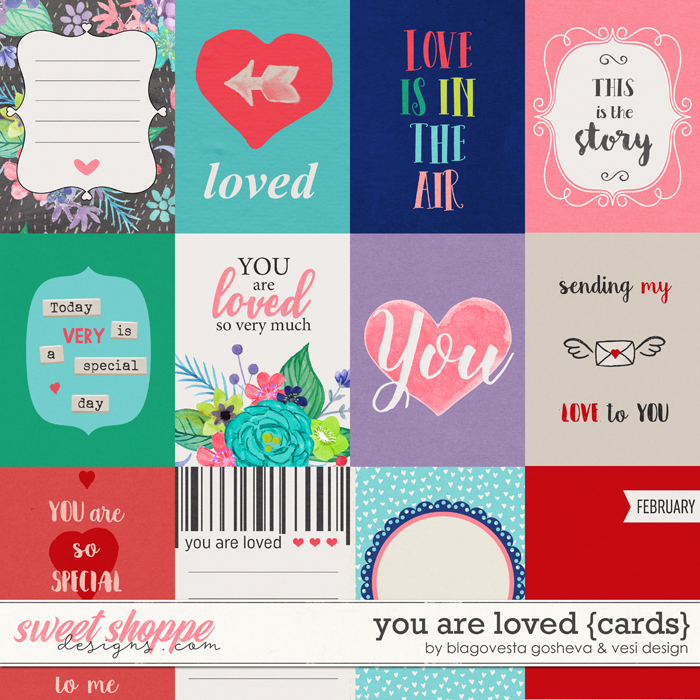 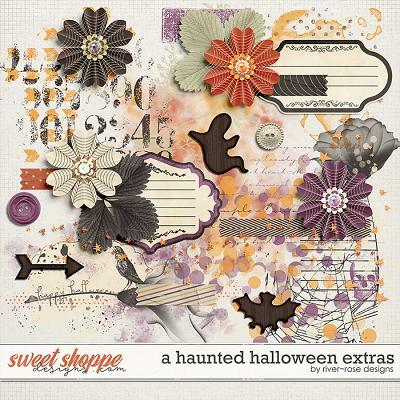 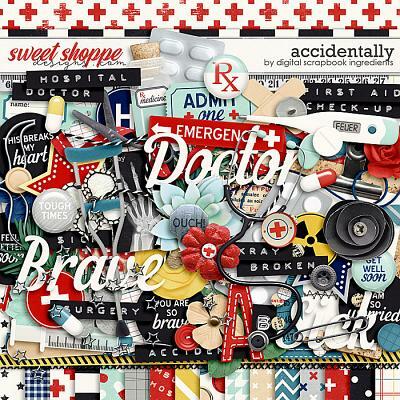 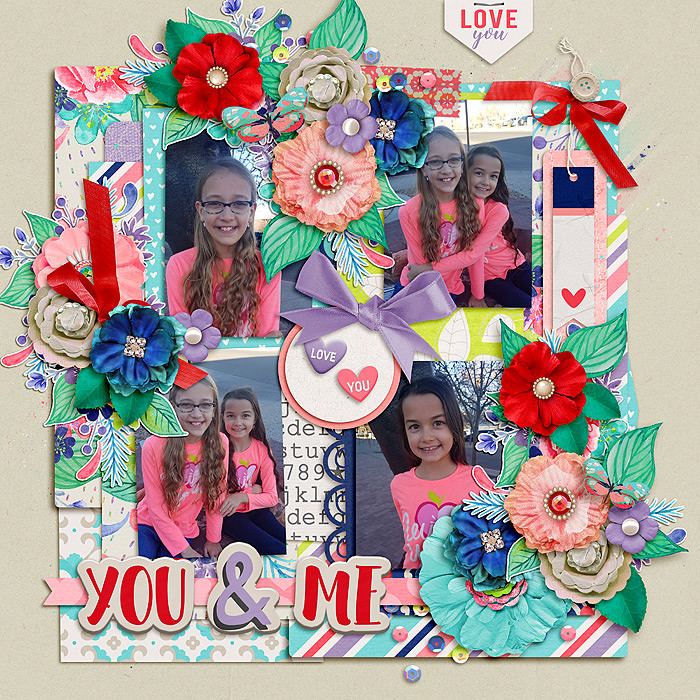 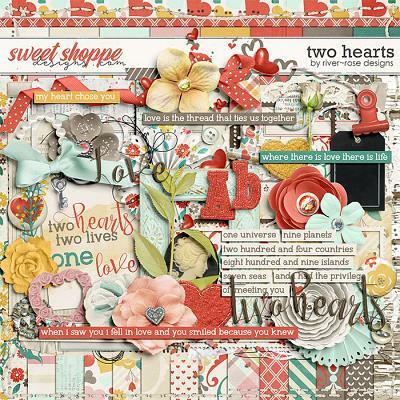 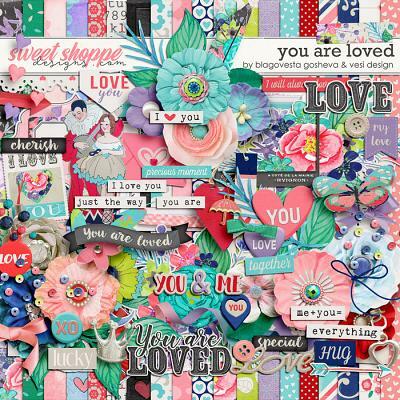 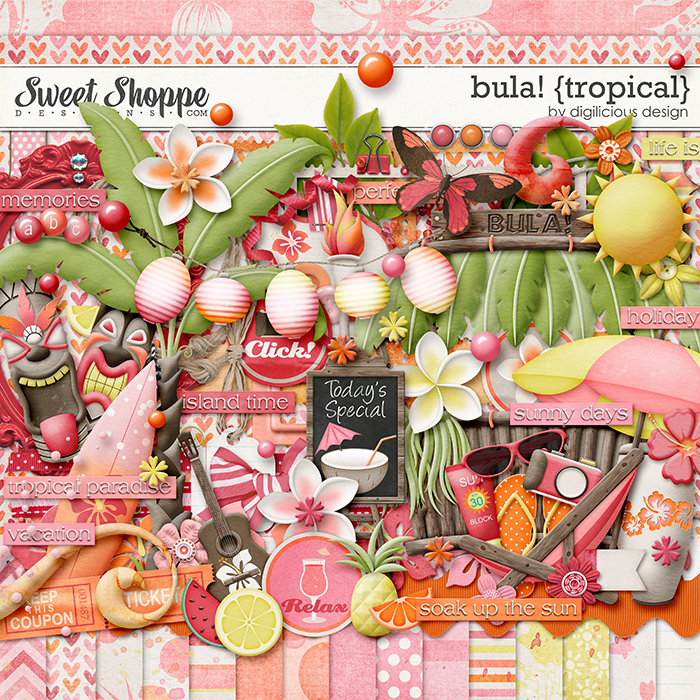 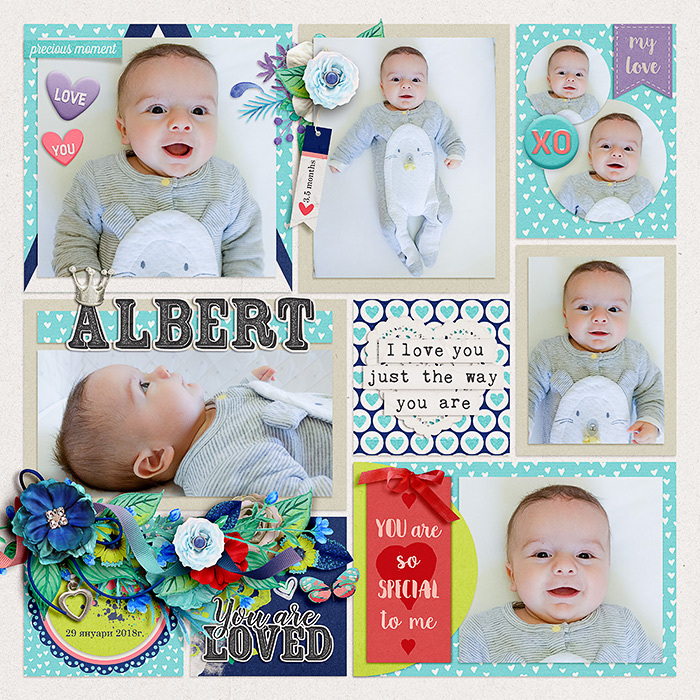 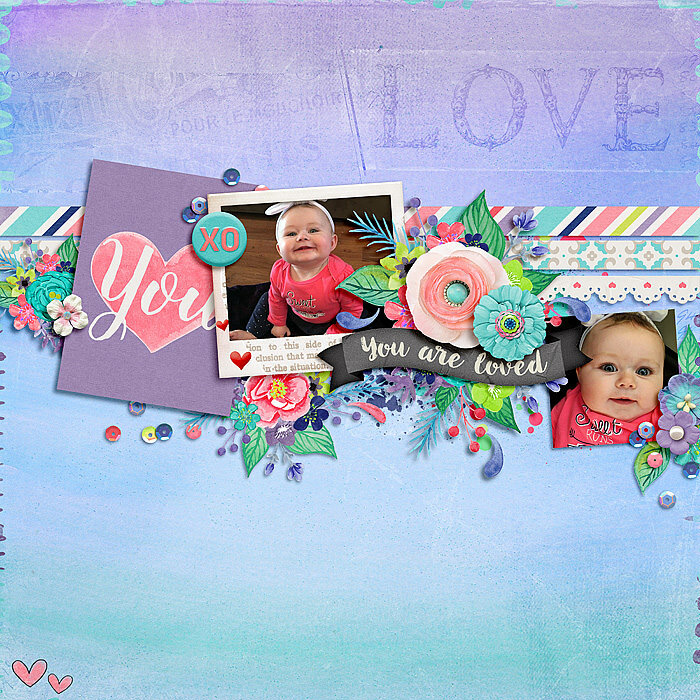 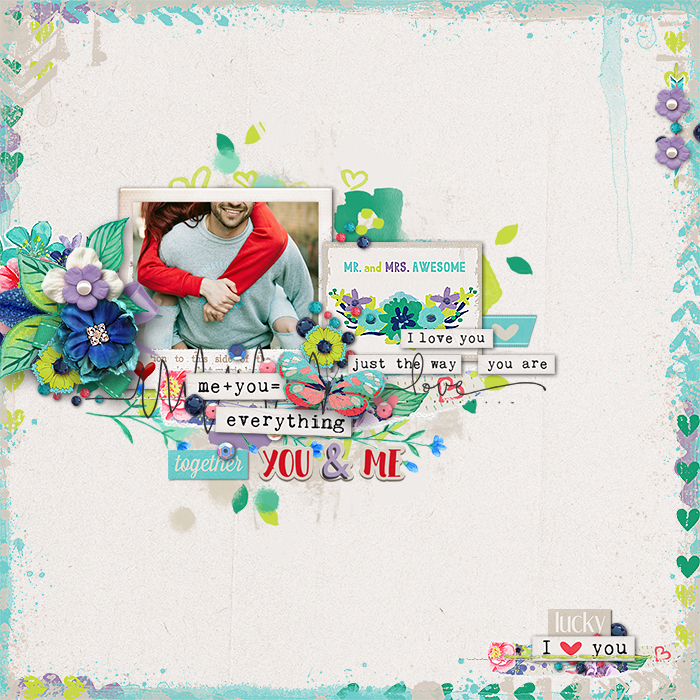 A Digital Scrapbooking collection by Blagovesta Gosheva and Vesi Design, You are Loved is packed with a lot of beautiful flowers, hearts, watercolor elements and patterns, perfect to scrap the love around you in all its forms. 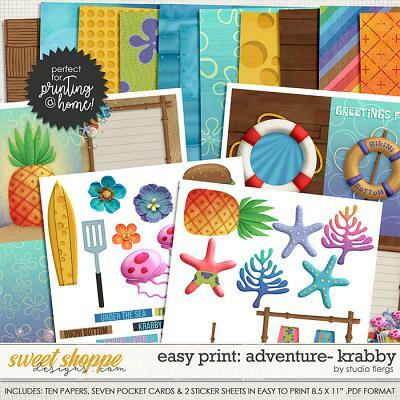 It includes a full kit, alpha and a pack of 12 3x4 pocket cards. 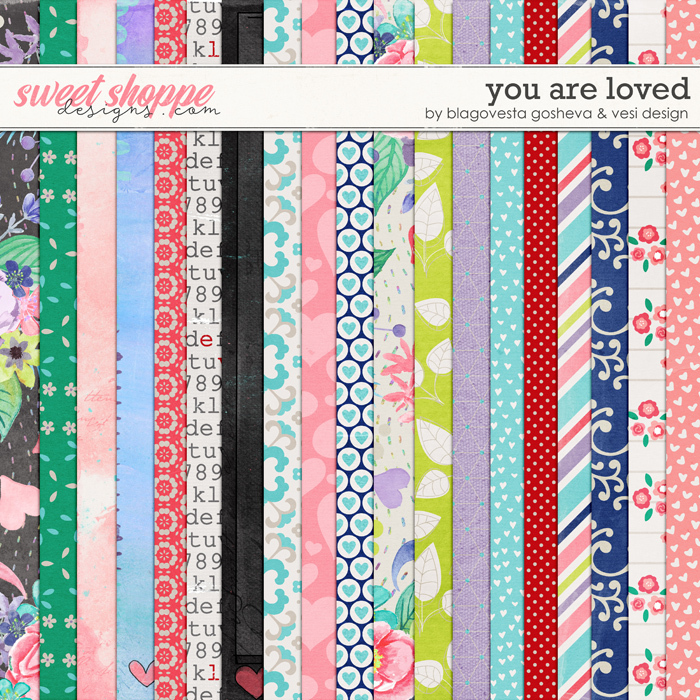 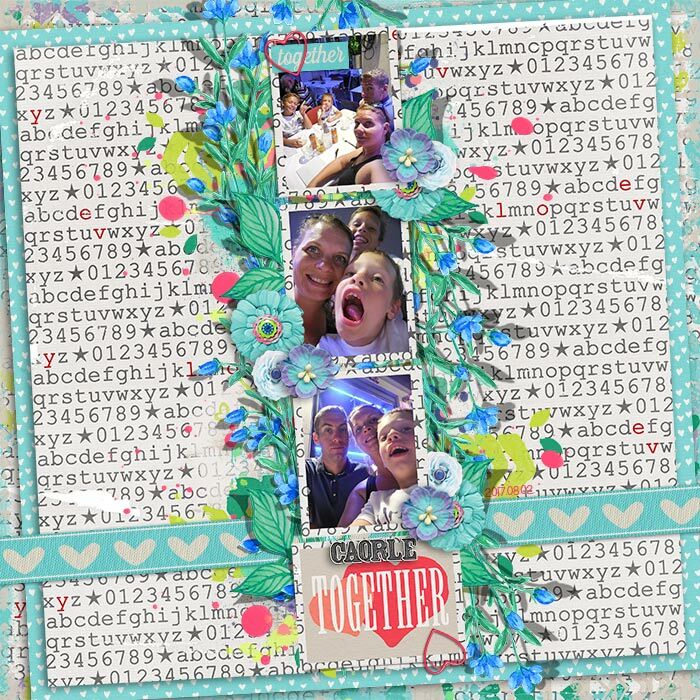 The kit contains: 31 digital papers (19 patterns/brushed & 12 coordinating solids), alpha (full alphabet, numbers, some symbols and punctuation; each letter is in individual PNG file) and over 100 elements as listed - watercolor arrow, banner "You are loved", border, brad, 2 beautiful watercolor flower clusters, silver crown, doily heart, 2 feathers, 14 different flowers, 4 photo frames, alentine's vintage sticker in 2 color variations, 4 hearts, 2 pocket cards, 4 bows, 2 strings, string with beads, butterfly, 4 leaves and other greenery, journaling tag, label, flower cluster with tiny flowers, pin, scattered hearts, pine branch, 2 tags, 3 ribbons, stitch, ric-rac, scattered secuins, scribbles, whipped paper piece, post stamp, vintage writing, 4 artsy overlays, page border, pink envelope with heart, tape, paper arrow, 4 charms, 2 buttons, scattered blings, 5 pieces of word art and 11 wordbits.